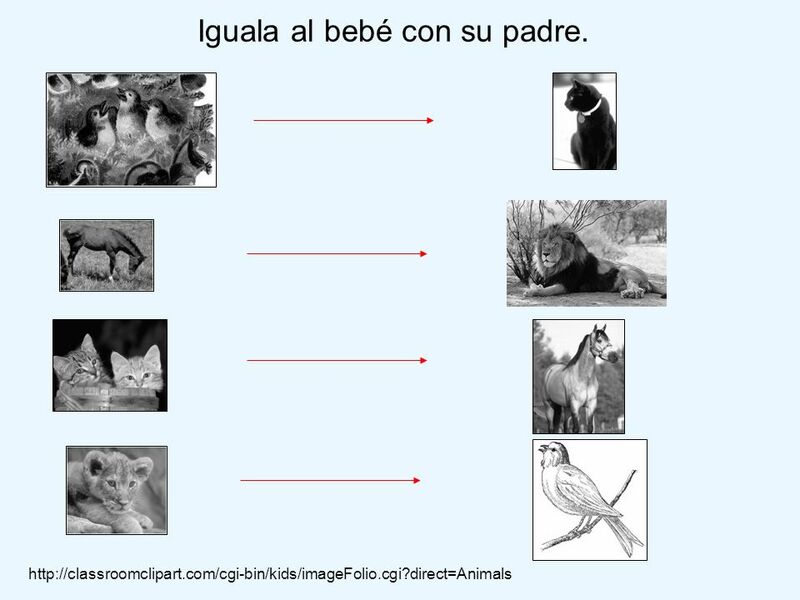 4 Pon los animales en la categoría correcta. 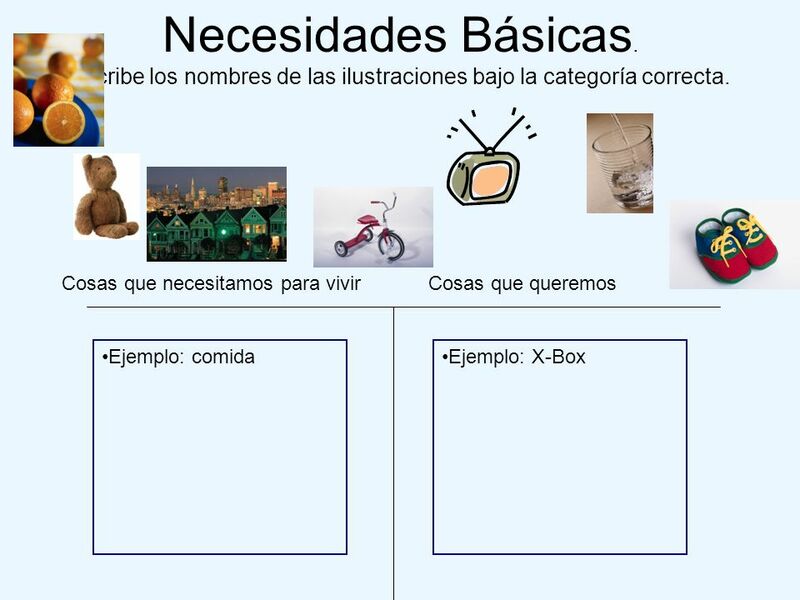 5 Necesidades Básicas. 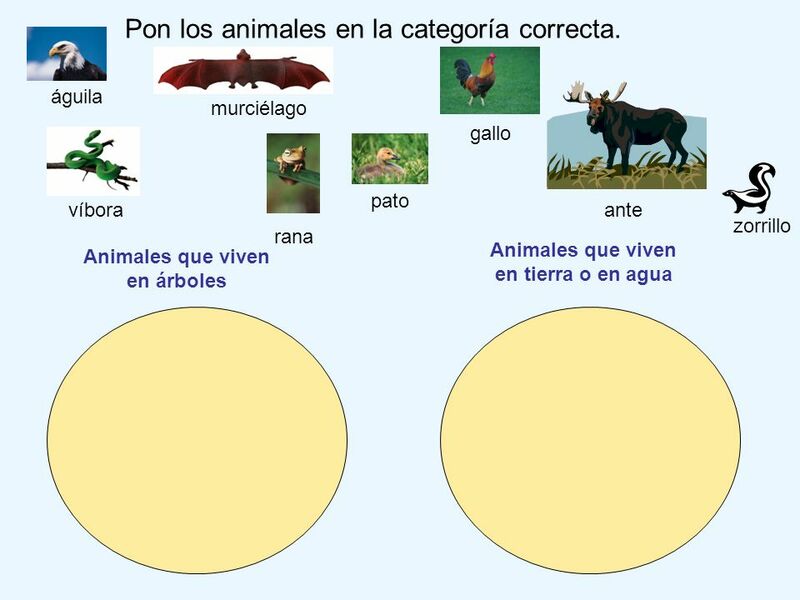 Escribe los nombres de las ilustraciones bajo la categoría correcta. 6 Iguala al bebé con su padre. 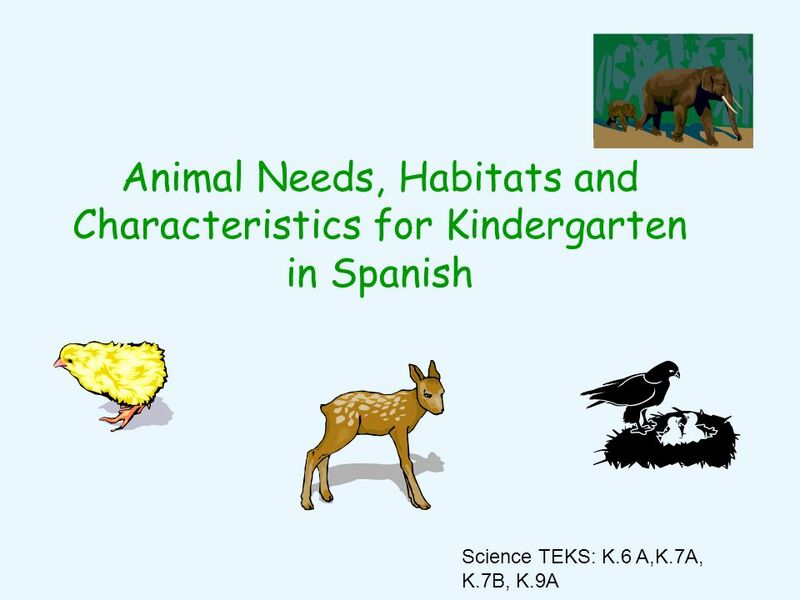 Descargar ppt "Animal Needs, Habitats and Characteristics for Kindergarten in Spanish"
DESCRIBILICIOUS – LEVEL 3 The following presentation is designed to help you improve your understanding of descriptions in Spanish. Youll need to stay. Noviembre– La lección tres. cgaisar arcasigaasar carga caracasagasasaca caigaarcascasarsacargracias. Speaking Exercises 1.Save this program as speaking exercise #1YOUR NAME in the M drive 2.Read each question out loud into your microphone, and then reply. A Comer Vamos a Poner la Mesa. 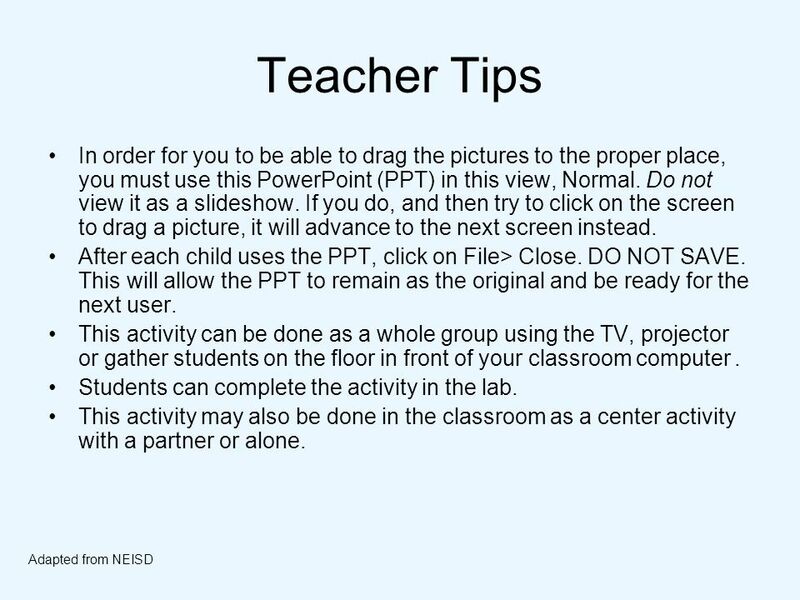 Copyright © 2008 Vista Higher Learning. All rights reserved Negative words deny the existence of people and things or contradict statements, for. Señora Johnson Tambien necesitas 5 separadores Chambas Apuntes Impresos Actividades Registros. ISLA (Immersion for Spanish Language Acquisition) is a 501 (c)(3) nonprofit organization that provides a safe and nurturing environment for native Spanish. WARM UP. Keep this paper. 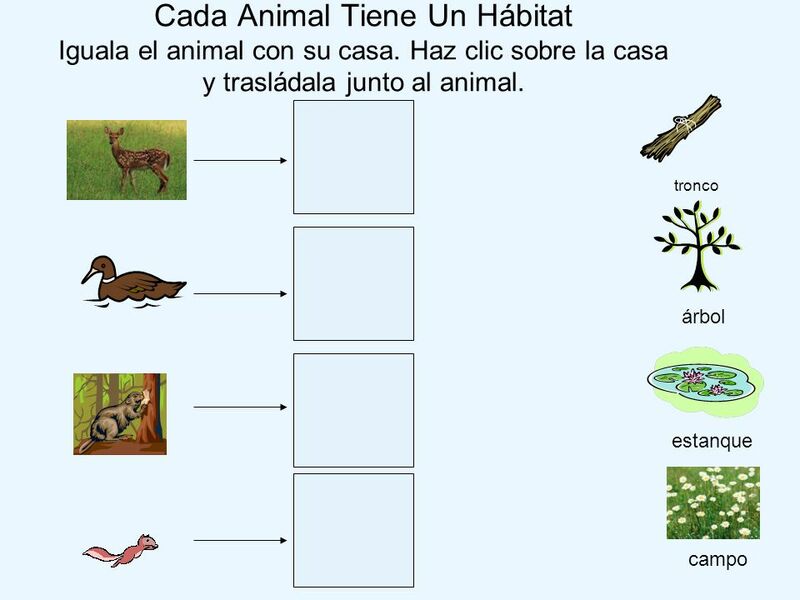 You will need it to study 1.Conjugate the verb SER 2.Conjugate the verb ESTAR 3.Write the the reasons when to use SER and when.